Zoe Siegel, (M.R.P. 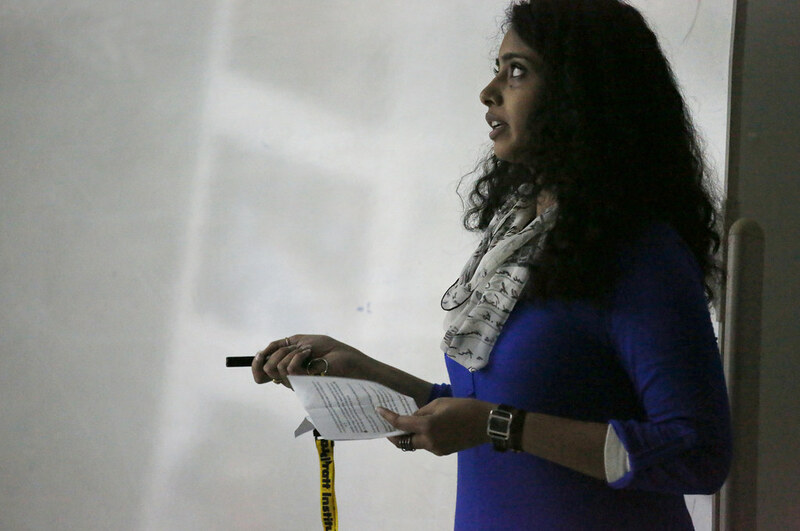 '16), presenting at the AAP NYC fall 2015 M.R.P. /M.L.A. summary presentations, in 101 West Sibley Hall and West Sibley Exhibition hallway. Design Connect fall 2015 project presentations in the Abby and Howard Milstein Auditorium. Master of regional planning students study on the mezzanine in the Sibley Hall Dome. M.R.P. 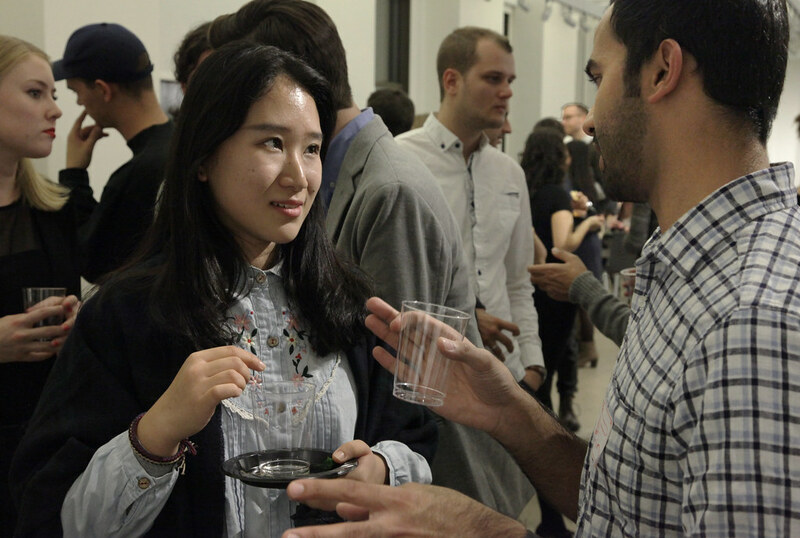 students attended the CRP alumni reception at the AAP NYC studio, sponsored by the Organization of Cornell Planners. AAP NYC studio views: M.R.P. 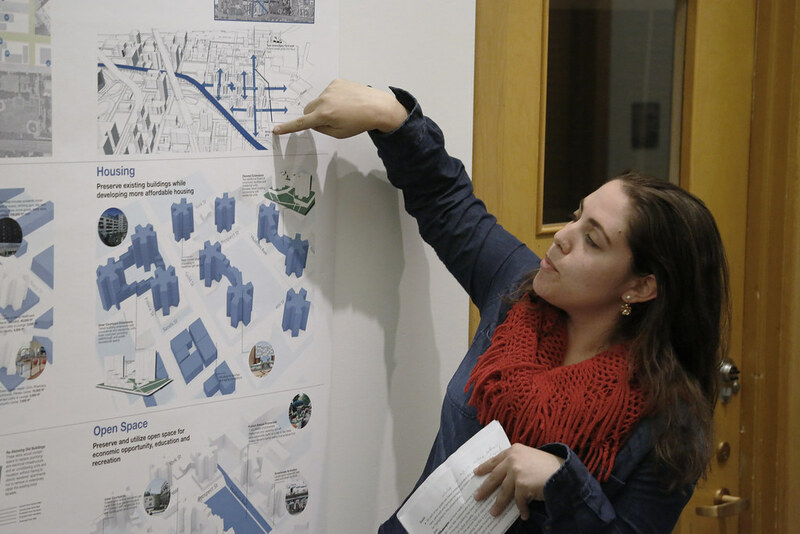 students work in the CRP graduate Urban Design studio. AAP NYC studio views: Eileen Munsch, (M.R.P. '16) in the CRP graduate Urban Design studio. AAP NYC studio views: Ryosuke Takahashi working in the CRP graduate Urban Design studio. 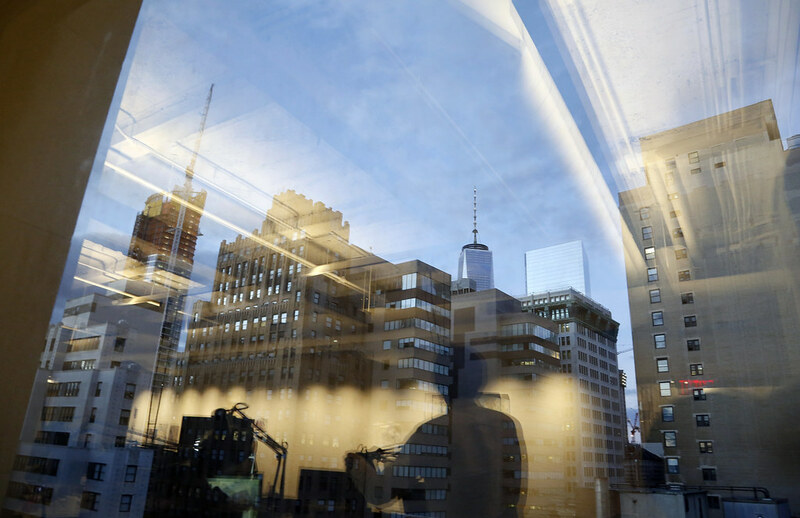 AAP NYC studio views: CRP graduate Urban Design studio. 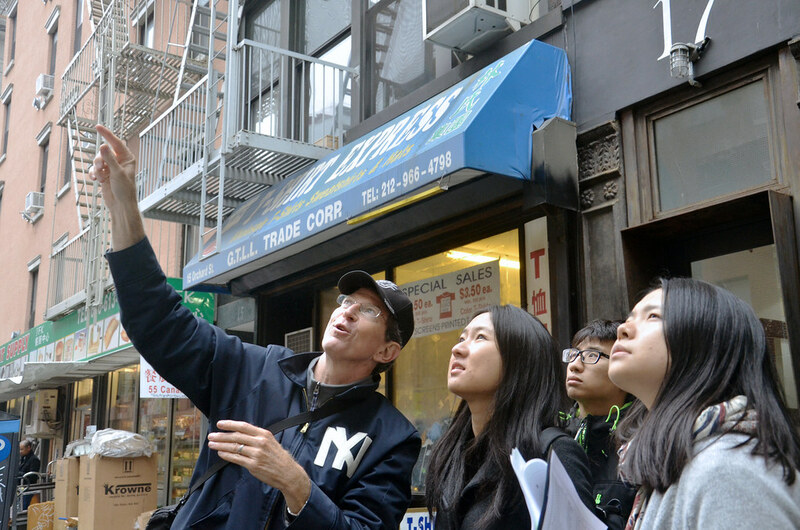 Workshop tour with Gensler Family Sesquicentennial Executive Director of AAP NYC Bob Balder and students in the CRP graduate Urban Design studio in the field. AAP NYC fall 2015 M.R.P./M.L.A. summary presentations in 101 West Sibley Hall and West Sibley Exhibition hallway. Geslin George, (M.R.P. '16), at the AAP NYC Fall '15 AAP NYC fall 2015 M.R.P./M.L.A. summary presentations in 101 West Sibley Hall and West Sibley Exhibition hallway. M.R.P. students Maggie Dong (left) and Angela Bai spent the fall 2015 semester in the CRP graduate Urban Design studio at AAP NYC. Maria Jeldes (M.R.P. 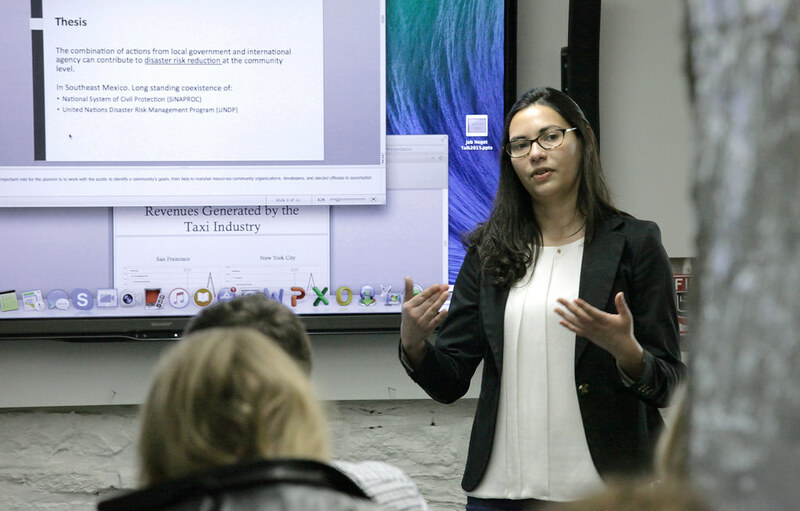 '16) presenting her exit project in B-1 Sibley Hall. 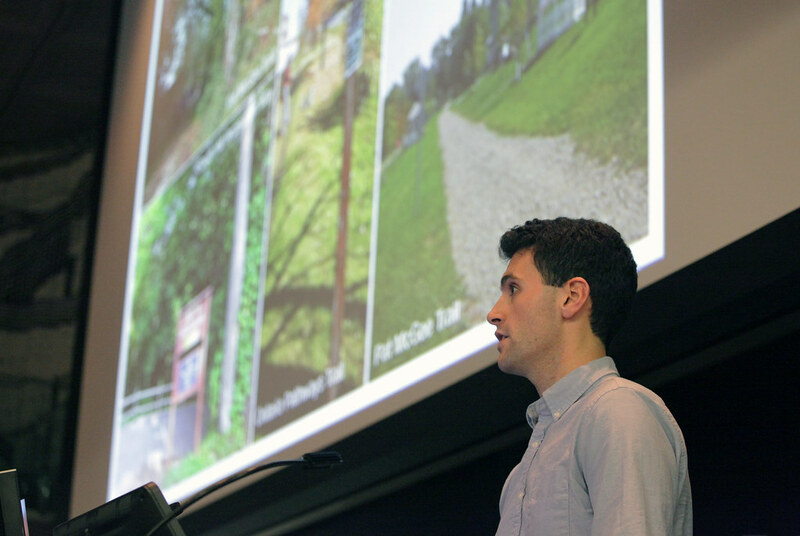 CRP graduate Urban Design studio review with Adam Lubinsky at AAP NYC. M.R.P. 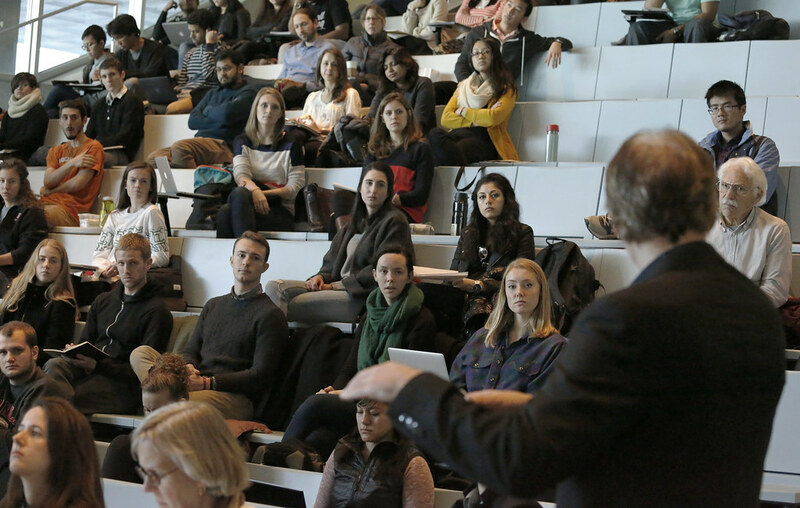 students attending CRP alumnus Bjørn Sleuth's lecture, Radical Planning and Studio Pedagogy in Informal Settlements: Working in the Fogotten Corners of Los Platanitos, Dominican Republic, in the Abby and Howard Milstein Auditorium. Zoe Siegel, (M.R.P. 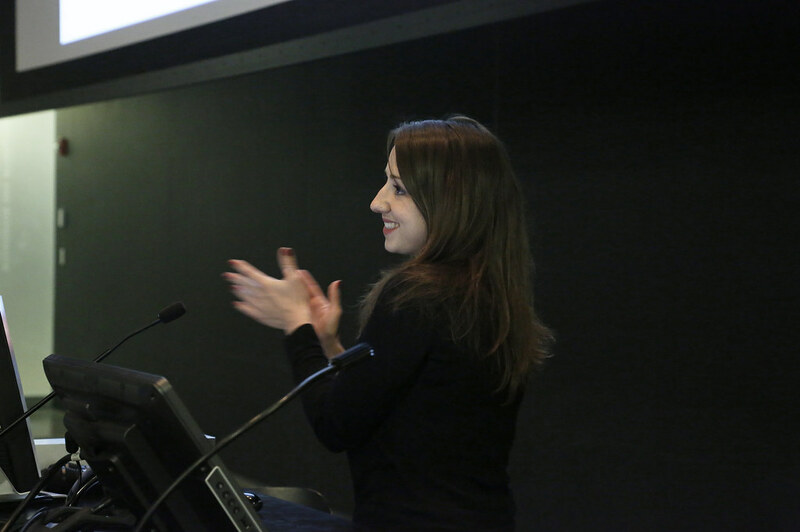 '16), presenting at the AAP NYC fall 2015 M.R.P. /M.L.A. summary presentations, in 101 West Sibley Hall and West Sibley Exhibition hallway. Design Connect fall 2015 project presentations in the Abby and Howard Milstein Auditorium. Master of regional planning students study on the mezzanine in the Sibley Hall Dome. M.R.P. 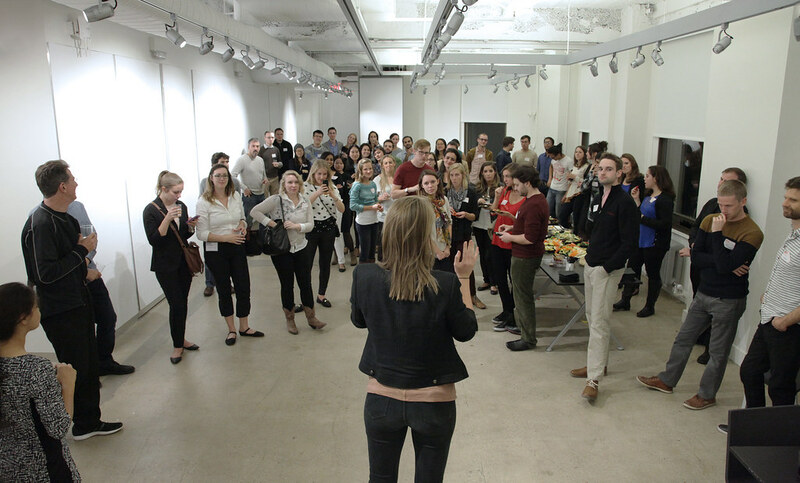 students attended the CRP alumni reception at the AAP NYC studio, sponsored by the Organization of Cornell Planners. M.R.P. 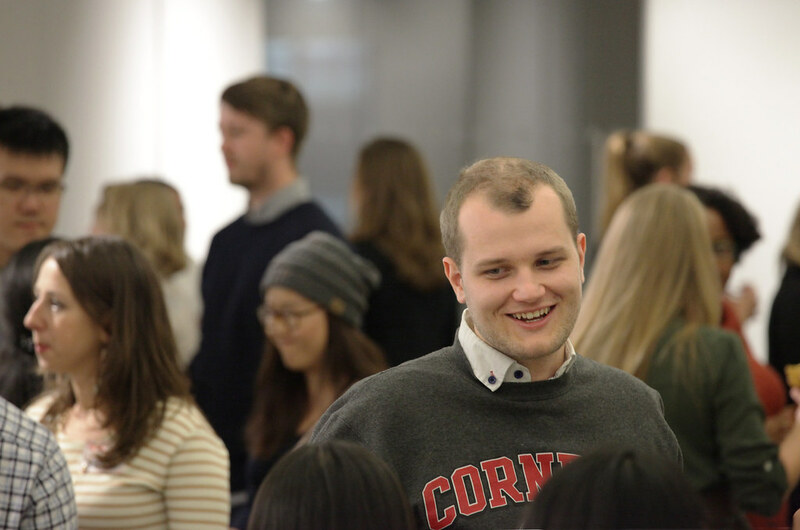 students attended the CRP alumni reception at the AAP NYC studio, sponsored by the Organization of Cornell Planners. M.R.P. 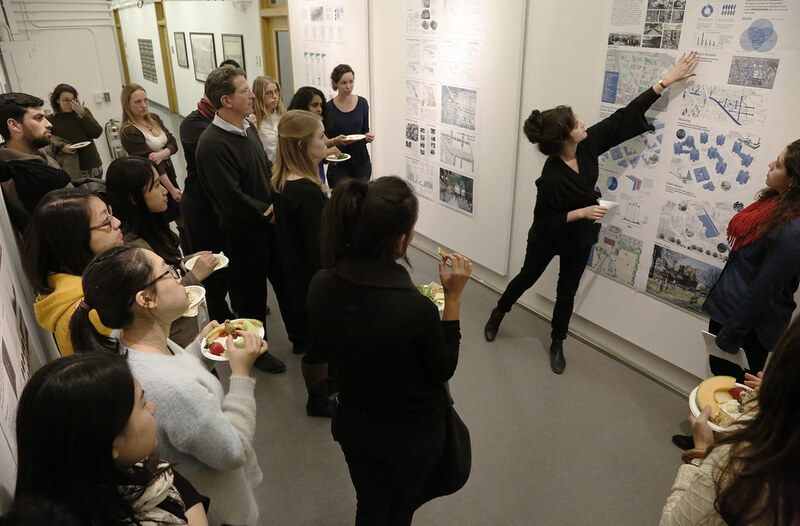 students attended the CRP alumni reception at the AAP NYC studio, sponsored by the Organization of Cornell Planners. AAP NYC studio views: M.R.P. 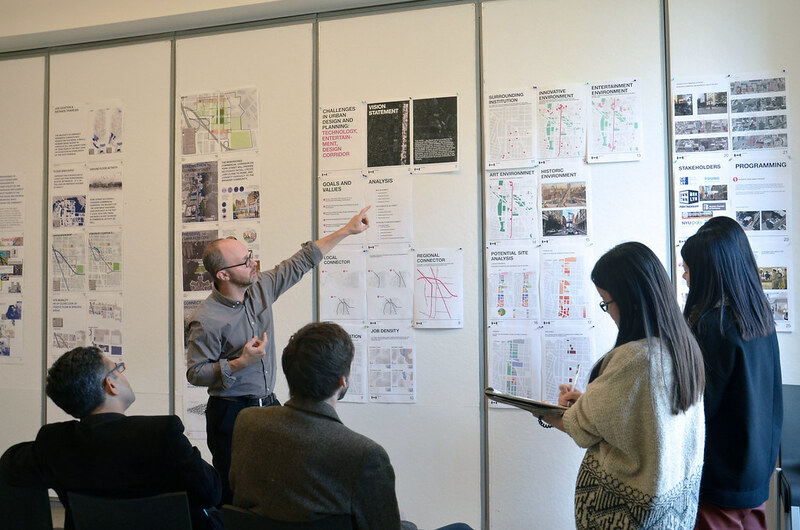 students work in the CRP graduate Urban Design studio. AAP NYC studio views: Eileen Munsch, (M.R.P. '16) in the CRP graduate Urban Design studio. 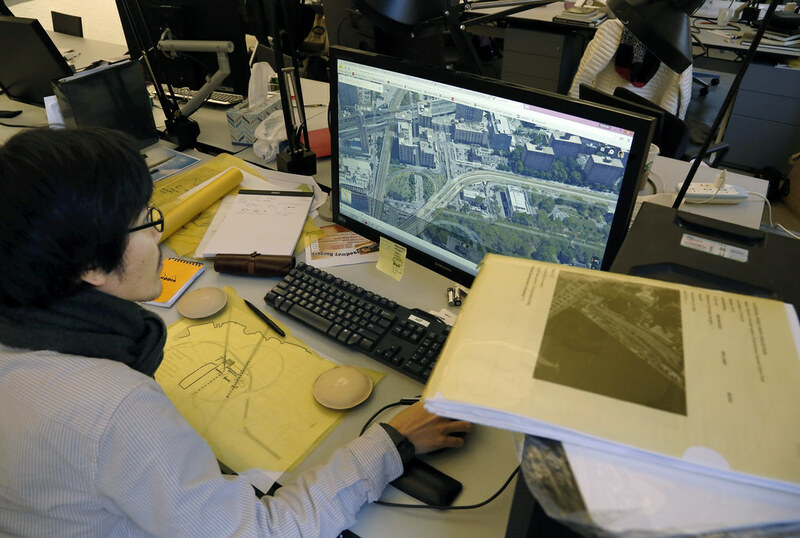 AAP NYC studio views: Ryosuke Takahashi working in the CRP graduate Urban Design studio. 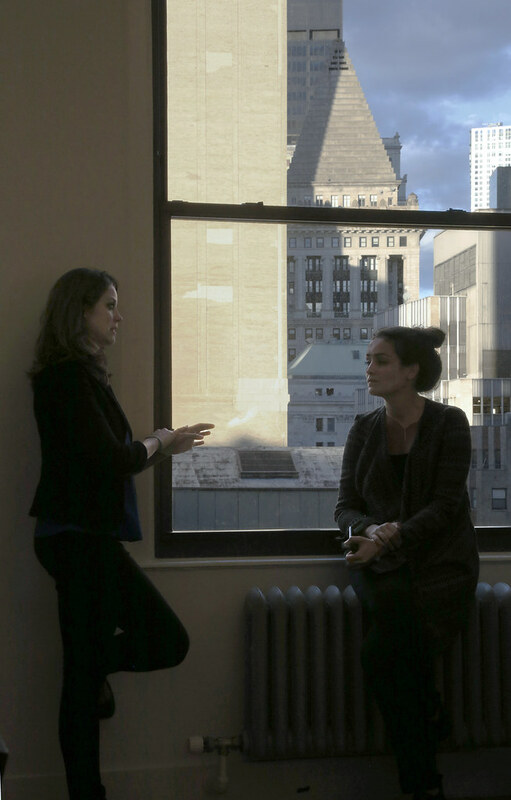 AAP NYC studio views: CRP graduate Urban Design studio. Workshop tour with Gensler Family Sesquicentennial Executive Director of AAP NYC Bob Balder and students in the CRP graduate Urban Design studio in the field. 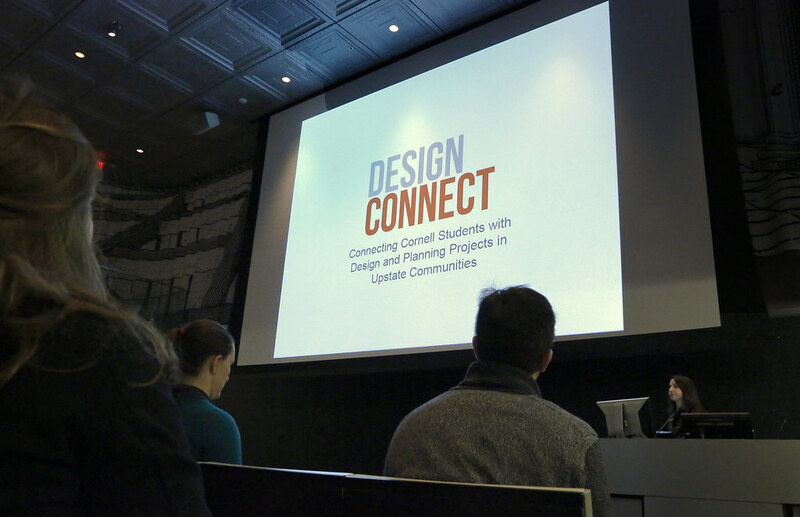 Design Connect fall 2015 project presentations in the Abby and Howard Milstein Auditorium. Design Connect fall 2015 project presentations in the Abby and Howard Milstein Auditorium. Design Connect fall 2015 project presentations in the Abby and Howard Milstein Auditorium. AAP NYC fall 2015 M.R.P./M.L.A. summary presentations in 101 West Sibley Hall and West Sibley Exhibition hallway. Geslin George, (M.R.P. '16), at the AAP NYC Fall '15 AAP NYC fall 2015 M.R.P./M.L.A. summary presentations in 101 West Sibley Hall and West Sibley Exhibition hallway. M.R.P. 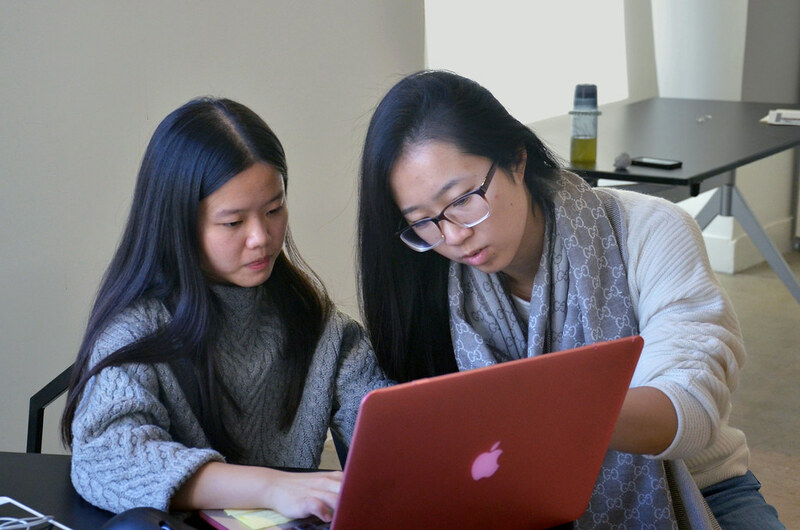 students Maggie Dong (left) and Angela Bai spent the fall 2015 semester in the CRP graduate Urban Design studio at AAP NYC. AAP NYC fall 2015 M.R.P./M.L.A. summary presentations in 101 West Sibley Hall and West Sibley Exhibition hallway. Maria Jeldes (M.R.P. '16) presenting her exit project in B-1 Sibley Hall. CRP graduate Urban Design studio review with Adam Lubinsky at AAP NYC. M.R.P. 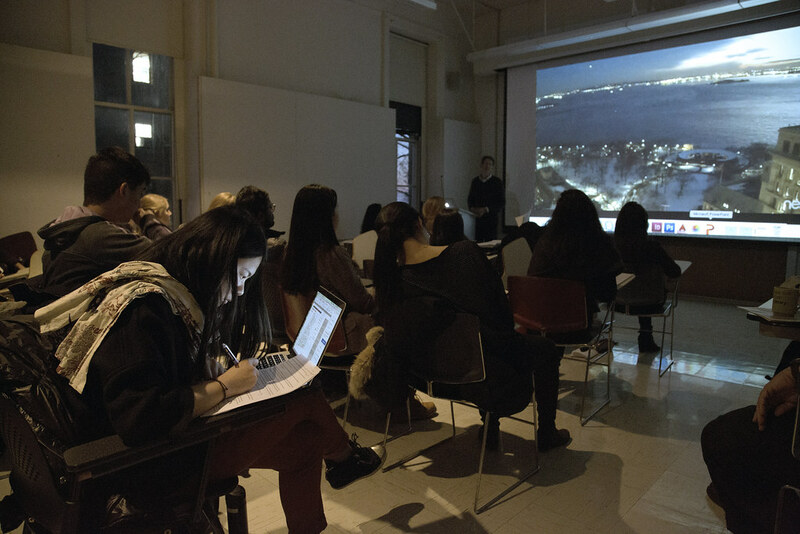 students attending CRP alumnus Bjørn Sleuth's lecture, Radical Planning and Studio Pedagogy in Informal Settlements: Working in the Fogotten Corners of Los Platanitos, Dominican Republic, in the Abby and Howard Milstein Auditorium. The M.R.P. attracts students who wish to build a career in planning, and also mid-career professionals who have experience. 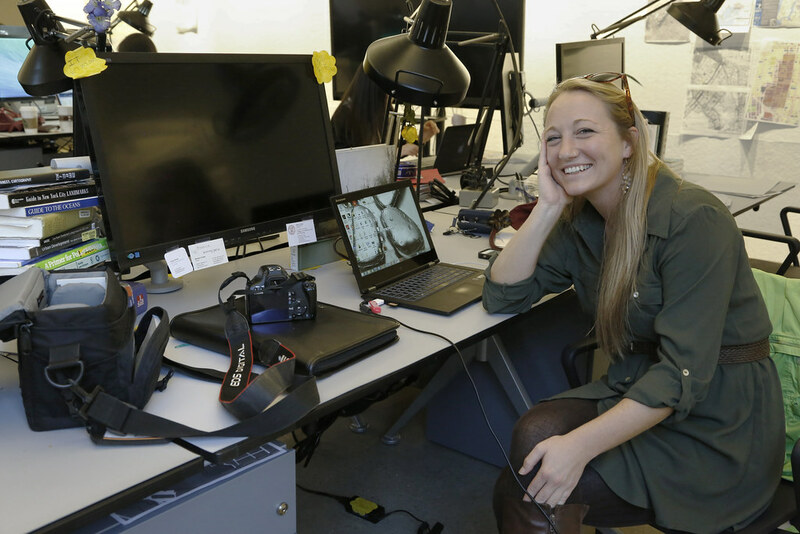 For students with a specific interest in design, dual M.R.P. degree programs are offered with landscape architecture (M.L.A. ), and the Baker Program in Real Estate (M.P.S./RE). 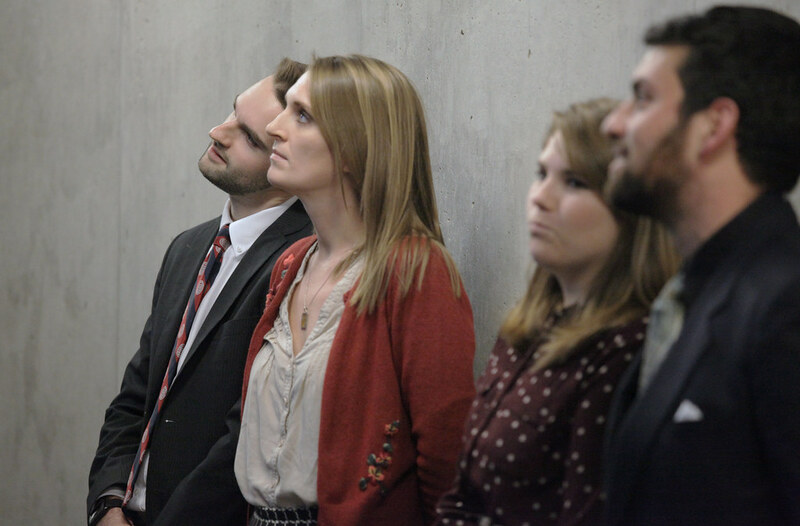 The doctor of philosophy (Ph.D.) program offers advanced specialized education for a career in academic research and teaching or in policy research and administration.